Pakistan made sure they crushed any remaining hope Bhutan had of qualifying for the semi-finals or scoring in the competition as they beat the Dragonboys 3-0 in their final Group A match of the SAFF Suzuki Cup 2018. Pakistan were immediately impressive, beginning the game on the front foot and taking a dominant 2-0 lead inside the opening 30 minutes. Muhammad Riaz opened the scoring for the Shaheens in the 20th minute when he cleverly turned the ball into the roof of the net, scoring from a tricky angle. It was then Hassan Bashir who doubled Pakistan's lead in the 29th minute as he turned in a lovely pass from Muhammad Ali's past Ngawang Jamphel. Substitute Faheem Ahmed then scored in the stoppage time and helped Pakistan's goal difference, which is particularly valuable in this tight group. 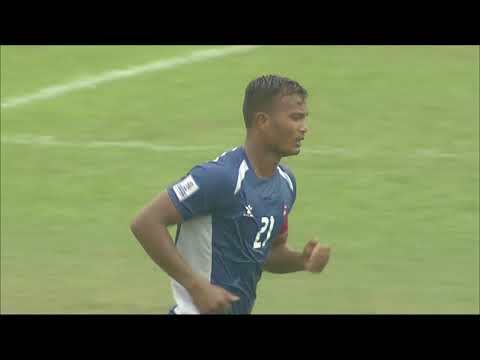 Bhutan failed to turn their dominating possession into quality in the attacking third. Compared to Pakistan's 15 attempted shots, Trevor Morgan's men managed a paltry 7. They were dispossessed regularly and lost most of the aerial battles against Pakistan. Head coach of Pakistan, José Antonio Nogueira, was delighted with his team's performance and said after the game, "We attacked from the first till the last minute. We could've scored more goals but I'm very happy with the 3-0 result. This win is for the PFF and for the people of Pakistan". The most valuable player of the evening, goal scorer Muhammad Riaz, said, "I am very grateful to god. It was quite tough to qualify out of this group, but we managed to score three goals. It doesn't matter who we play in the semi-final, we'll try to beat whichever team it is and qualify for the final". Bhutan Head Coach, Trevor Morgan, whose team failed to score in the competition, said, "For probably 35 minutes we had the most amount of possession in the opposition half and created a lot of opportunities. We have to take the positives out of it." "There's a lot of work to be done. This is one of the youngest squads that the country has ever had. We have to go back now and plan and build for the future," he added looking back at the takeaways from the tournament". With this win, Pakistan have sealed qualification for the semi-final. They'll face the leader of Group B in the semi-final on 12th September.